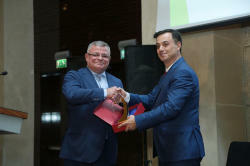 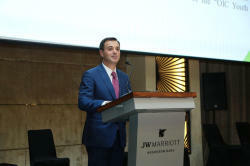 A diplomatic reception has been held at Marriott Absheron in Baku with the organizational support of the Youth Forum of the Organization of Islamic Cooperation (OIC) in connection with the OIC Youth Day. 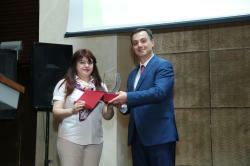 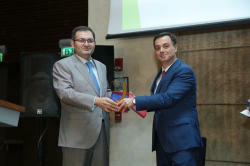 During the event, the Ministry of Youth and Sports, the Ministry of Foreign Affairs, the international campaign "Justice for Khojaly", the international information agency Trend and other institutions were presented with the awards of the Youth Forum. 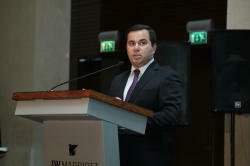 Speaking at the event, Deputy Minister of Youth and Sports Farhad Hajiyev and Ambassador of Palestine to Azerbaijan Nassir Abdul Karim Abdul Rahim said the Youth Strategy adopted at the fourth conference of the OIC ministers of youth and sports, held in Baku in April this year, is the most important contribution of the Government of Azerbaijan to the OIC youth policy, and congratulated all the youth in the OIC member states on occasion of the Youth Day. 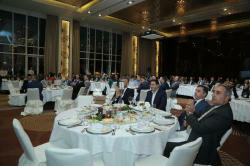 The event continued with a festive concert and solemn reception.